Tahoe Paradise is located by the West end of Pioneer Trail, near where it joins with Highway 50. The homes in this area range from A Frame cabins to spectacular contemporary mountain homes and are located within minutes of both Tahoe Paradise Golf Course and Lake Tahoe Golf Course. The neighborhood is completely immersed in nature and offers quick access to some of the best hiking, biking, and snowmobiling, trails in South Lake Tahoe. The Corral Loop and Power line trail are very popular trails for outdoor enthusiasts. Tahoe Paradise consists of a pocket of homes nestled among acres of US Forest Service Land. A beautiful area which is close to both Heavenly Ski Resort and Sierra At Tahoe, with Kirkwood not too far away! This is a great Neighborhood to be in for both the second homeowner, vacation rental investor, or just a local looking for a neighborhood that offers the best of the Tahoe lifestyle. Below you will find a collection of South Lake Tahoe homes currently for sale in the Tahoe Paradise neighborhood. 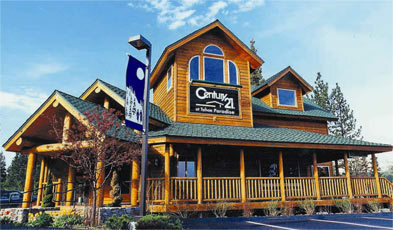 If you have questions regarding real estate in Lake Tahoe please contact us. We are happy to be of service!